Damages are sums of money claimed or awarded to individuals as compensation. Contractor insurance covers the cost of the damages when an employee or client makes a claim against your business. This is why it is so important for you to invest in the protection provided by this kind of special insurance! Offering Insurance for Contractors Since 1961! Don’t leave the future of your business at risk by not getting the coverage you need. 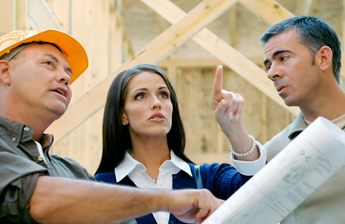 In order to continue your success, it’s important that you invest in specialized insurance for general contractors. We’ll provide you with an experienced insurance agent who can answer any questions you have, as well as address any of your concerns. Our agent will help walk you through the insurance process, ensuring you feel completely confident in all decisions. Alliance & Associates Commercial Insurance Agency provides general contractors insurance for Jacksonville, Palm Coast, Lake City, Palatka, Gainesville, Orlando, and Tampa, Florida. To learn more about the benefits of this insurance for contractors, don’t hesitate to contact us today!